Founded in San Jose, California, SimplyKidsFurniture.com is one of the worlds largest kids furniture companies online today; helping parents create fun, comfortable and kid-safe bedrooms and playrooms for their children. Ideas, sparked by a single conversation, bloomed into a thriving kid's furniture business. It all started years ago when Bryan and Nicole, (once just friends and now owners of Simply Kids Furniture) shared horror stories about their kids furniture shopping experiences. Both mentioned that they were frustrated with the limited kid's furniture choices, lack of styles, colors and sets. They were also troubled with the difficulty in finding all the furnishings needed for their child's room at one store. They discussed their own personal likes and dislikes about furniture shopping. From there, they decided to build a business that incorporated all of the things they valued most in a shopping experience; lots of product choices from quality brands, easy web site navigation, top rate customer service, great deals and a simple order process. 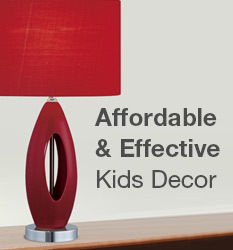 After lots of deliberation and research, Simply Kids Furniture was born. Now it's grown to be a highly reputable kid's furniture company that offers a wide variety of top brand furniture at great prices. Just what Bryan and Nicole had imagined their company to be! Bryan and Nicole decided they wanted "SKF" to be even more then just a kids furniture store, so they brought on a resident Parent Coach to spice things up. Kim, a Certified Parent Coach, was brought on board to provide parents with quality articles about products, organization solutions, design ideas and parent's favorites. The Tips & Advice section is home to this fun and fact filled content and it's an ever-growing resource with more articles added each month. Kim's goal is to provide shoppers with the best information possible to help them create a fun filled and beautifully designed kid's space in their home. They worked hard to establish lasting relationships with top quality kid's furniture manufacturers around the world, including the United States, Europe, Canada and Asia. Their goal was to work with vendors that shared their same commitment� to provide well-designed, well-made products of extraordinary value to families everywhere. They also brought on many vendors that are dedicated to making sustainable and earth-friendly products. They've achieved the goal of developing quality business relationships and are proud to be working with some of the best manufacturer's in the kid's furniture business today! To achieve their objective of top rate customer service they set out to build and train a customer support team that's only goal is to satisfy the customer 100%. The Simply Kids Furniture Customer Service Reps all have expert product knowledge, understand that the customer is ALWAYS right and are trained to help shoppers find what they need. The Customer Service motto is: Customer Satisfaction Guaranteed! Customer Service Reps are always standing by to assist customers by phone, Live Help or email. The owners wanted to make it so simple for customers to find the perfect kid's furniture that they designed a website with advanced navigation tools such as: Shop by Brand, Price Sorting Capabilities, Parent's Top Picks, Key Product Categories and much more. For even easier shopping they also added a Live Help option where you can ask a Kid's Furniture expert for assistance. To top it off, they added an easy checkout process to make ordering a breeze. Simply Kids Furniture has done everything in their power to make your search for the perfect kid's bedroom or playroom furnishings as convenient and easy as possible. thank you for shopping at SimplyKidsFurniture! Contact us any time at service@simplykidsfurniture.com.